Today is an exciting day, it’s 2016 Hand Lettered Calendar time! I fully embrace and admit that I am a crazy calendar person. Friends have been known to walk around my house counting my calendars. I can not help it. To me, calendars are like art installations that change every month throughout the year. When you think about it in that light, then you can understand why I spend HOURS looking for the best calendars. I got out my lettering pens and wrote out the months of the year about a hundred times each. From those, I picked the best and made them into my own calendar! Today I am sharing my 2016 Hand Lettered Calendar Printable with you all! You should be able to print each month on any printer at an 8.5 x 11 size. 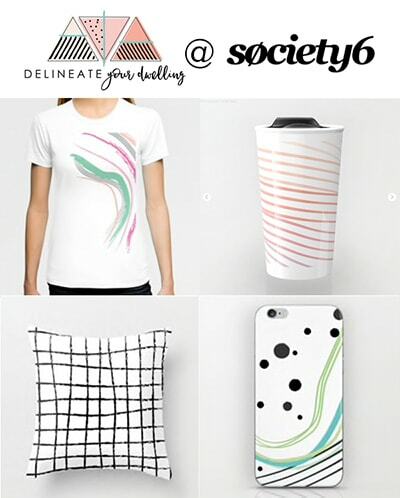 Looking for other items to help streamline your blog or small business? Check out everything I use to keep this blog running as smoothly as possible. Looking for even more PRETTY ORGANIZING? 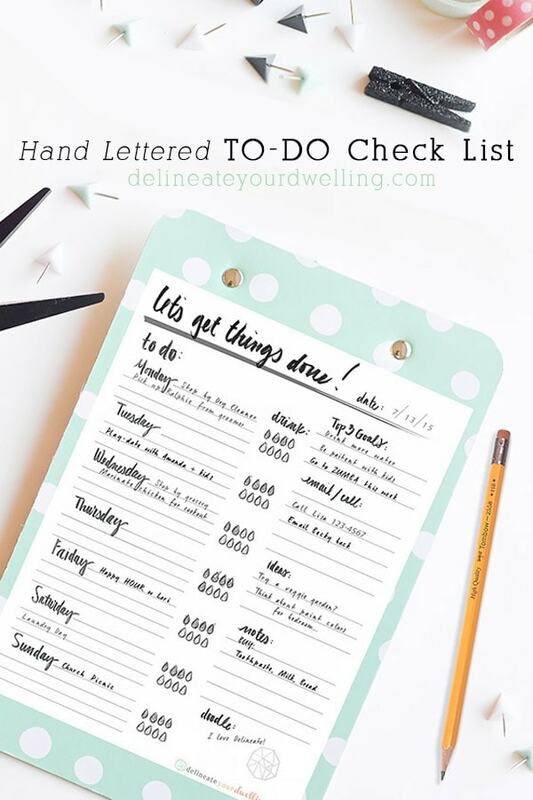 You might be interested in purchasing my hand-lettered “To Do” List! Monday the 26th is missing out of September all together…. Yes it is! I sent out a new September earlier in the year, but you must not have gotten it. Would you like me to email you a new Sept? Just wanted to send you a note that September is missing a day … specifically, September 26. Eddie, thank you so much for stopping by. I’m glad you are enjoying the calendar. You must have downloaded the calendar before I made the edit and added in Sept 26th. 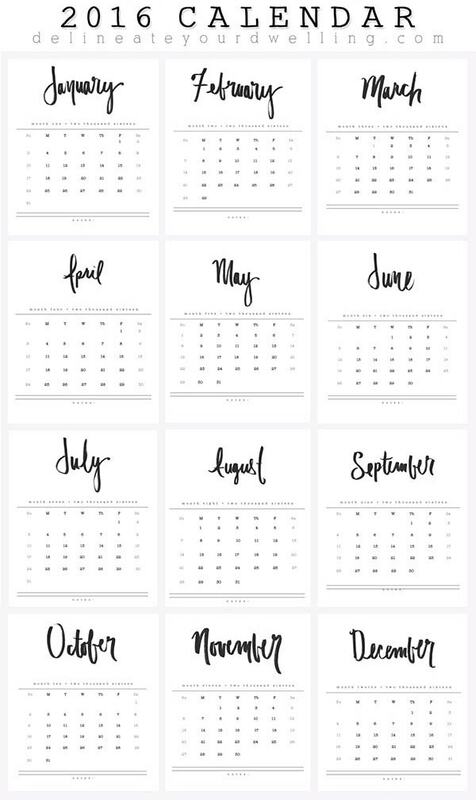 Please download it again, here https://www.delineateyourdwelling.com/2015/11/2016-hand-lettered-calendar.html for the new September! Thanks! thank you for the free calendars. I printed them out on watercolor papers so that I can embellish them with paint. Thank you so much! Beautiful handwritting! On first, I love it your blog! Is so amazing! And i have your calendar in my wall now. I would make a post in my blog with your calendar, referring to your blog of course! what font is written in the months name? Hi Amy! Love your blog & follow you on IG. Thanks for the printable calendar! Is there a way to make this it print @ 1/2 page or 5×7 size? Happy 2016! Thank you for following along, Cathy! Hm… maybe in the printing settings you could print at 1/2 page?? Happy 2016 to you, too. B-E-A-utiful! Thanks for sharing. Can’t wait to hang this one on a clipboard in my home office. such a wonderful calender. thanks very much for a free download!!! These pages are so beautiful, absolutely love your lettering! I keep seeing amazing “brush” work with plain old Crayola markers, so fascinating. So lovely, thanks for this. I’m new to hand lettering and just keep practising, but my work is never as lovely in real life as in my head! I’m hoping if I just keep going the reality may catch up with my imagination! Hello from Australia! Thanks for sharing your beautiful calendar, it’s now adorning our office wall ready to bring on an exciting 2016! Hello Sally! Thanks for leaving a comment today! Happy 2016. Thank you so much for featuring my calendar! I love calendars! Your calendar is perfect. I would love to hang this one on my wall. But I do live in Sweden and here the week starts with monday. Have you done someone like that, monday to sunday? 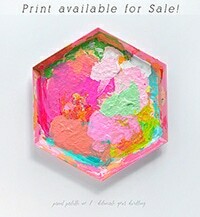 If you have, I would be very happy. Such a beautiful calendar! Thank you so much for sharing. Happy new year! Hi, I was writing all the birthdays on my new calendar 🙂 and noticed that September is missing #26. I wanted to let you know. Oh goodness, thank you for letting me know! I will update the file now!!! Thank you for making this calendar. I love it and will be perfect as a stocking stuffer for my husband. Merci pour votre partage mes filles vont en profiter !!! hi! 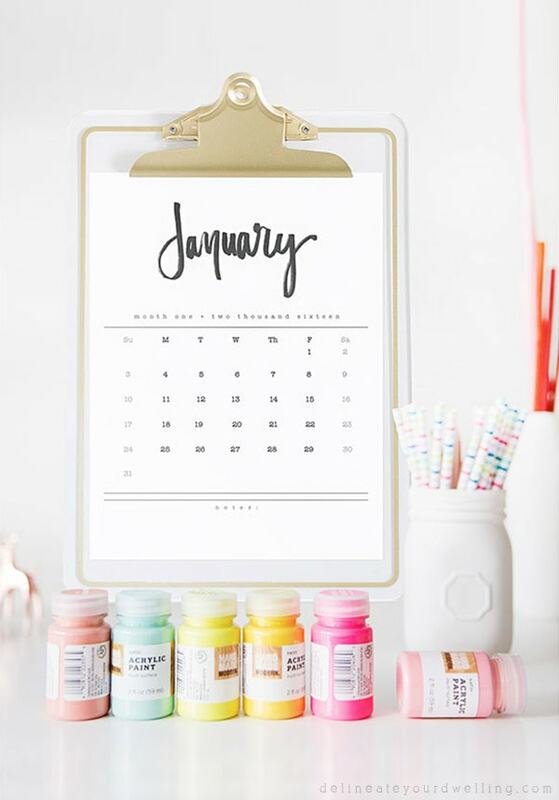 is there anyway to download the font you used for the calendar? i’m obsessed! Such a beautiful calendar…can’t wait to hang it in my office! Can I ask where you purchased the clipboard? Thanks for sharing your beautiful calendar. Love this. I’m a crazy calendar person as well 🙂 I’ll be printing this and hanging it up on my wall in the new year! Ah, so happy to hear there is another calendar crazy person out there! Be sure to tag me with a picture on IG or FB and I’ll feature you in my newsletter. Love these!!!! So adorable and perfect for my desk at work! Thanks! Thank you, Ashley! I hope you enjoy it! Love this! Thanks for the printable, Amy! Amy, thanks for linking up to Link Party Palooza- this calendar is fantastic! I’ve chosen it as my favorite project for the week and it will be featured on Friday on Somewhat Simple, I Heart Naptime, Lil Luna, Today’s Creative Life and Tatertots and Jello! Have a great week………..